InChronic Physical Disorders, the most prominent figures in the field of behavioral medicine argue why a biopsychosocial perspective is crucial to reducing the tremendous personal and societal burden of chronic disease. In Part I of this state of the art text, a broad set of theoretical and applied issues are discussed with respect to the role that research can play in the management of chronic physical disorders. Part II focuses on specific chronic disorders, including chapters on coronary heart disease, cancer, diabetes, chronic pain, HIV and AIDS, end–stage renal disease, asthma, and arthritis. 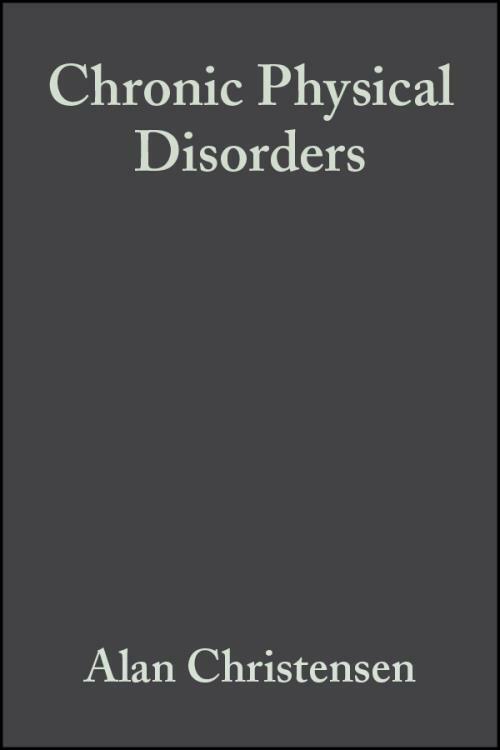 Included in each of these chapters is a basic review of biomedical aspects of each disorder followed by a review of the primary behavioral, psychological, and socioenvironmental issues that are most relevant to a given disorder. Introduction: Alan J. Christensen (The University of Iowa) and Michael H. Antoni (The Ohio State University). 1. Quality of Life and Chronic Illness: Robert M. Kaplan (University of California, San Diego). 2. Social Psychological Aspects of Chronic Disease: Vicki S. Helgeson (Cernegie Mellon University) and Kerry A. Reynolds (Carnegie Mellon University). 3. Coping Processes and Adjustment to Chronic Illness: Charles S. Carver (University of Miami) and Michael F. Scheier (Carnegie Mellon University). 4. Adherence in the Management of Chronic Disorders: Jacqueline Dunbar–Jacob (University of Pittsburgh), Elizabeth A. Schlenk (University of Pittsburgh) and Donna Caruthers (University of Pittsburgh). Part II: Chronic Physical Disorders:. 5. Coronary Heart Disease: Timothy W. Smith (The University of Utah) and John M. Ruiz (The University of Utah). 6. Cancer: Barbara L. Anderson (The Ohio State University) and Sharla Wells (The Ohio State University). 7. Diabetes: Linda Gonder–Frederick (University of Virginia Health System), Daniel J. Cox (University of Virginia Health System), and William L. Clarke (University of Virginia Health System). 8. Chronic Pain: Dennis C. Turk (University of Washington) and Akiko Okifuji (University of Washington). 9. HIV and AIDS: Michael H. Antoni (University of Utah). 10. End–Stage Renal Disease: Alan J. Christensen (University of Iowa) and Katherine Raichle (University of Iowa). 11. Asthma: Bruce G. Bender (University of Colorado) and Thomas L. Creer (The Ohio University). 12. Arthritis: Heather M. Burke (Arizona State University), Alex J. Zautra (Arizona State University), Amy S. Schultz (Arizona State University), John W. Reich (Arizona State University) and Mary C. Davis (Arizona State Univerisity).